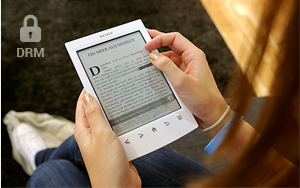 A scalable platform for publishers to distribute their ebooks with an embedded piracy protection DRM solution. Africlearn provides the avenue for educational, fiction and non-fiction text publishers to market and make their books digitally available to all intended users (Private users, schools, universities and other institutions). The DRM solution embedded within Africlearn ensures that textbooks or digital books cannot be downloaded for print purposes but only held within user’s devices (PCs, laptop, mobile devices and tablets) for offline and online access. The reports and analytics section for publishers within the Africlearn solutions ensures that publishers can track how many purchases and download of their books have been effected, including information on schools where the digital contents have been assigned to. This enables a transparent view to publishers on their income on books sold. Africlearn’s cloud based solution also enables publishers to distribute their books directly to schools and institutions where they have a supply arrangements while leveraging Africlearn’ s digital e-learning solution and classroom management system. Thereby enabling publishers the added advantage of not needing to secure or build an eLearning solution but concentrating on their niche of delivering high value contents while effectively distributing the content with minimal costs. Reach out to info@africlearn.com for additional information on how you as a publisher can utilise the AfricLearn platform or access the Africlearn digital learning management system.